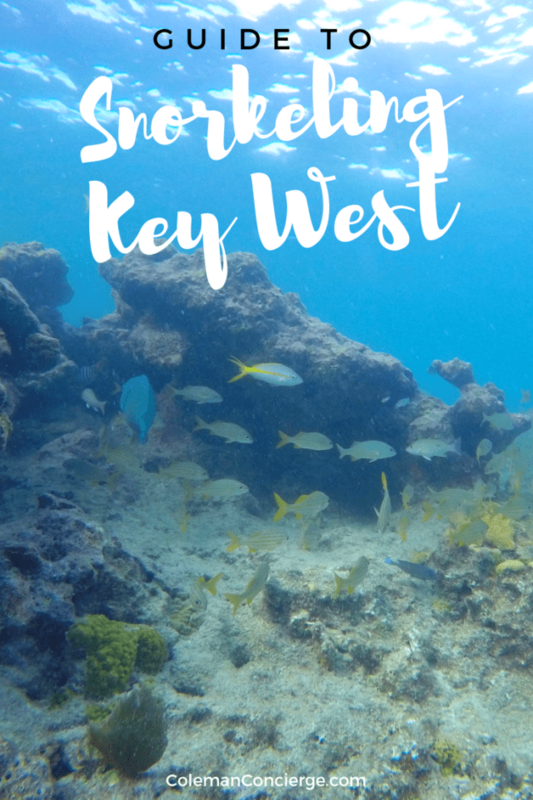 Key West has Duval St and that cool island vibe, but there’s so much to see under the sea. We’re sharing the best places to go snorkeling, what to expect at each site, and how to enjoy it responsibly. 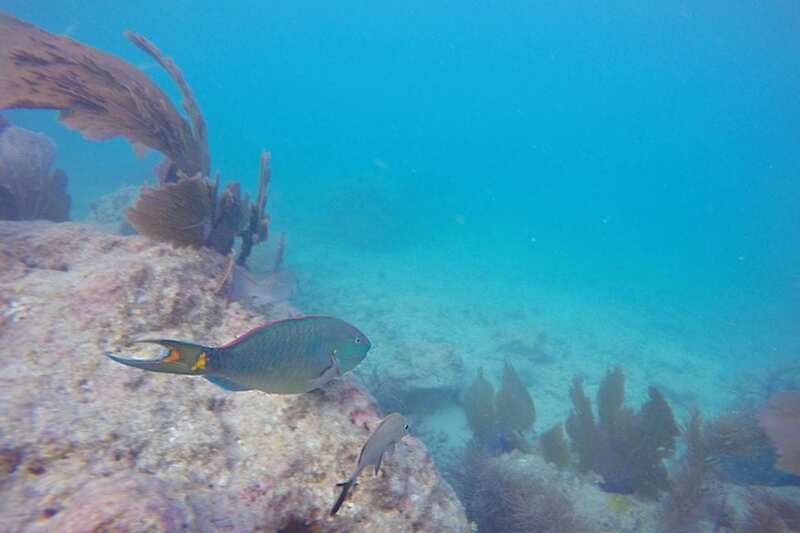 If you crave adventure and discovery, you’ll love snorkeling in Key West. The Florida Reef (aka The Great Florida Reef) is the only living coral barrier reef in the continental United States and the third largest coral barrier reef system in the world. Unless you’re going to Belize or Australia soon, you owe it to yourself to check it out. Actually, check it out anyway because it’s just that cool. 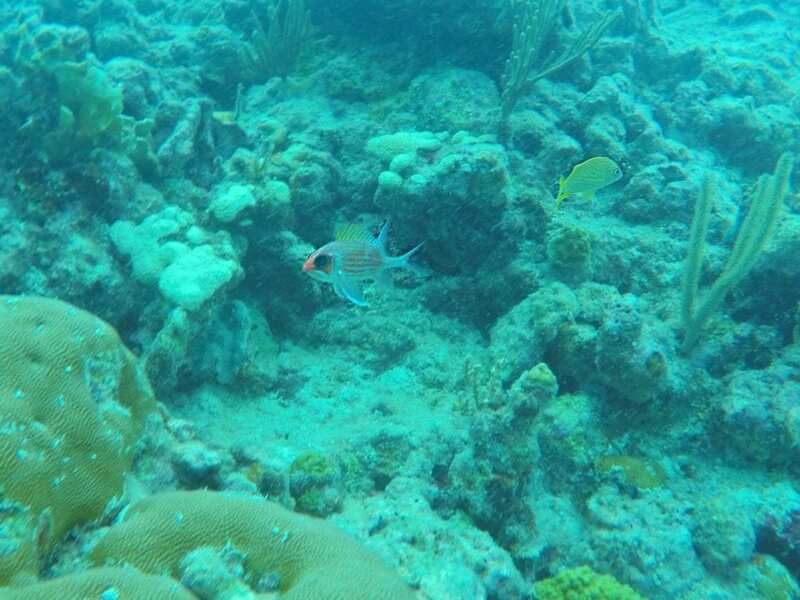 Being the southernmost point in the United States, it has the warmest waters and most colorful tropical fish. Nealy 1,400 species of marine plants and animals call this reef home. It’s warm enough for tropical corals and boasts biodiversity comparable to any Caribbean reef. What makes this ecosystem so diverse is that there isn’t just one type of reef down here, there are three: Hardbottom, Patch, and Barrier. Each one presents a new and exciting underwater world for you to explore. 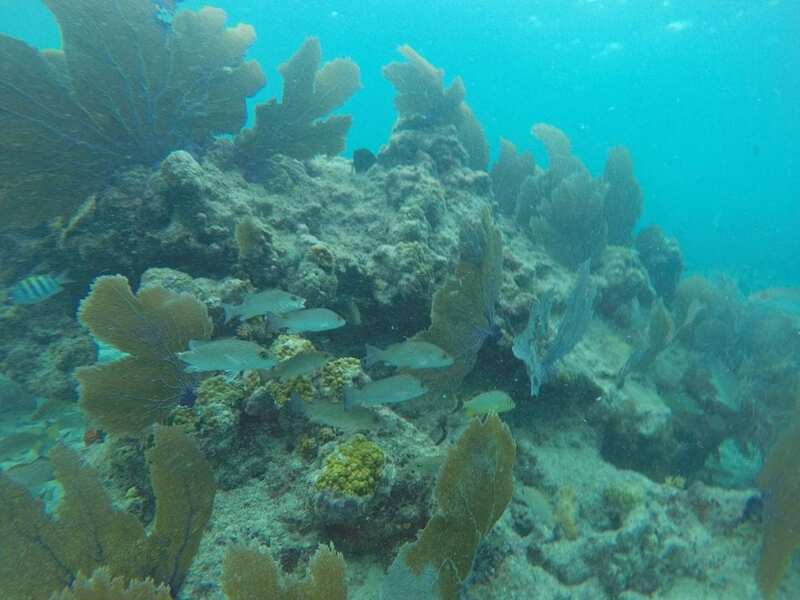 Hardbottom reefs sit closest to shore with large seagrass beds growing around patches of algae, sea fans (gorgonians), and some stony corals. This area doesn’t have the structure one might typically associate with coral reefs, but it is full of life and diversity. On any given day you might find sea cucumbers, anemones, mollusks, spiny lobsters, crabs, sea stars, and fish like tangs or barracuda, perhaps even a sponge or two. 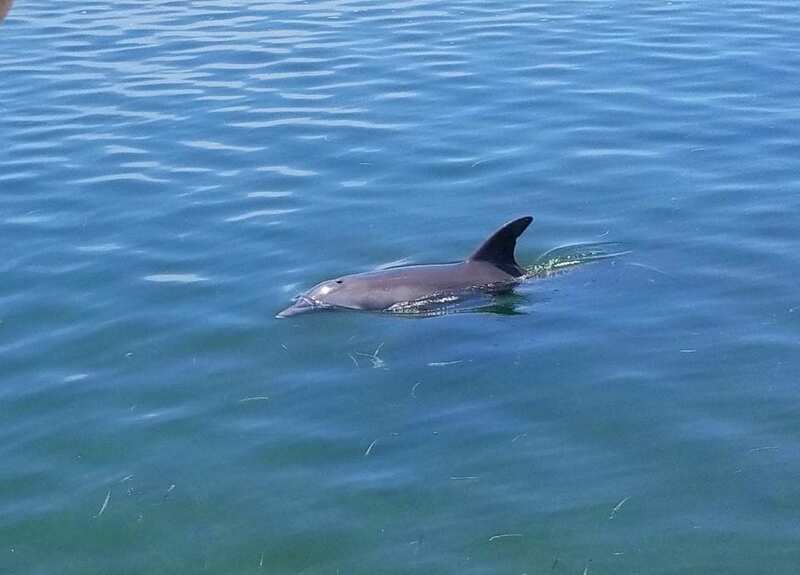 We saw plenty of lobsters and crabs, barracuda, and even a friendly dolphin who swam by to say hi! The abundance of sea life and proximity to shore makes these sponge gardens a perfect place to visit from a short boat ride. 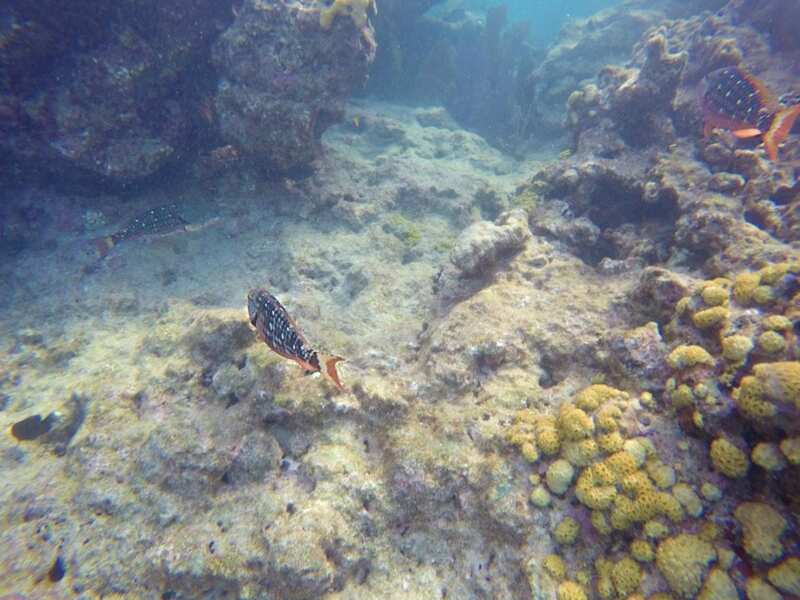 Many of Key West snorkel trips include sponge garden visits as part of a multisport package eco-tour combined with kayaking mangroves or other Key West watersports. Patch reefs start on the hard bottom but grow up and out over time as the corals grow on the previous structure. Sea urchins keep the sand around the patch reef clean while stunning fish like sergeant majors, angelfish, wrasse, snapper, and parrotfish live on the reef. Moray eels and spiny lobster hide out in the nooks and crannies. 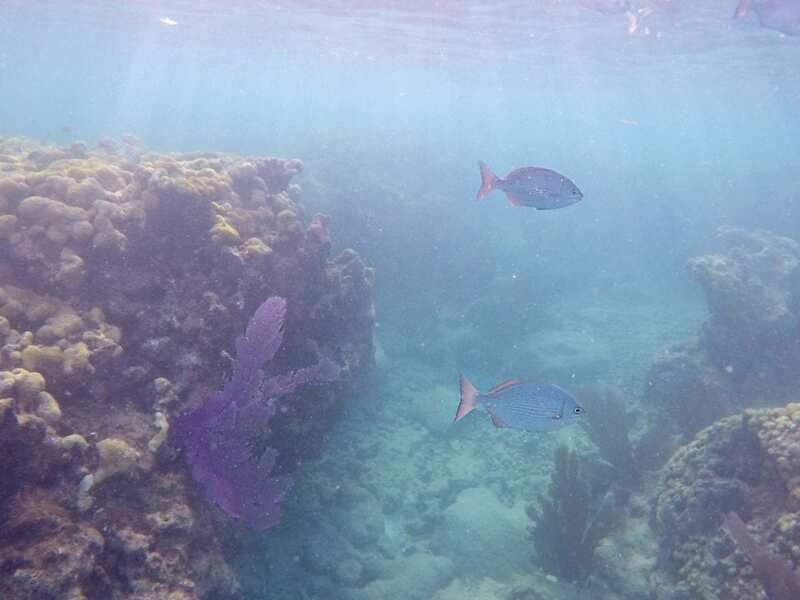 Cottrell Key is one of the most visited patch reefs in Key West. 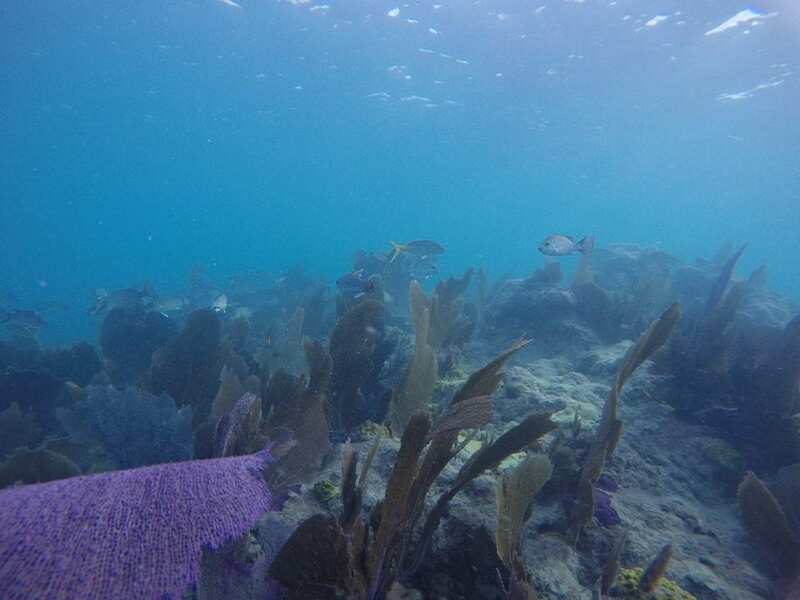 Patch reefs make an excellent trip for the fleet of high-speed boat trips available out of Key West. They can cruise to one or two different reefs on a three-hour tour and still make it back for sunset. We planned on a combination sunset/snorkel trip to have the best of both worlds. Nothing caps off a fantastic coral reef snorkel like a bubbly glass of champagne and colorful sunset. 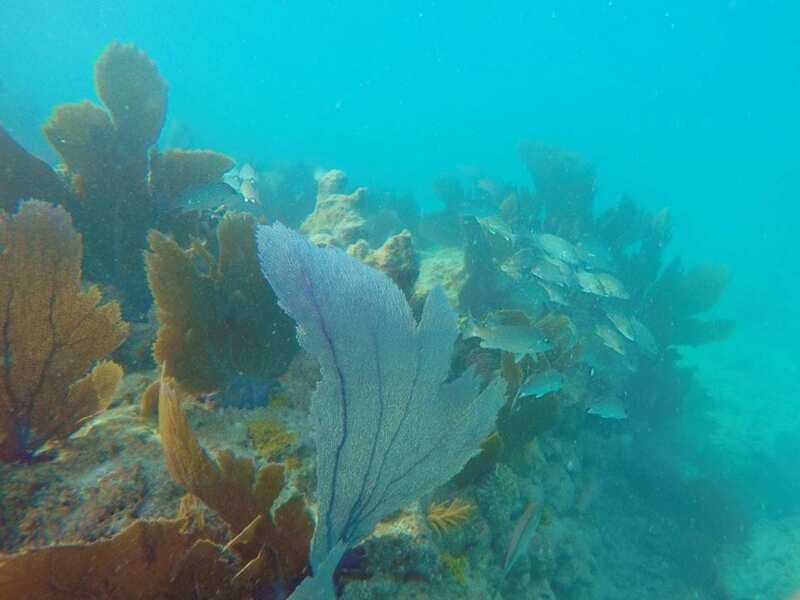 Bank reefs form the outer edge of the barrier reef, separating the Florida Current and deep water from the relatively calm and tranquil Straights of Florida. Western Sambo and Eastern Dry Rocks make for fantastic snorkel destinations along the barrier reef. Spurs and grooves form the back side of these reefs as low coral shelves (spurs) get separated by sandy flats (grooves). 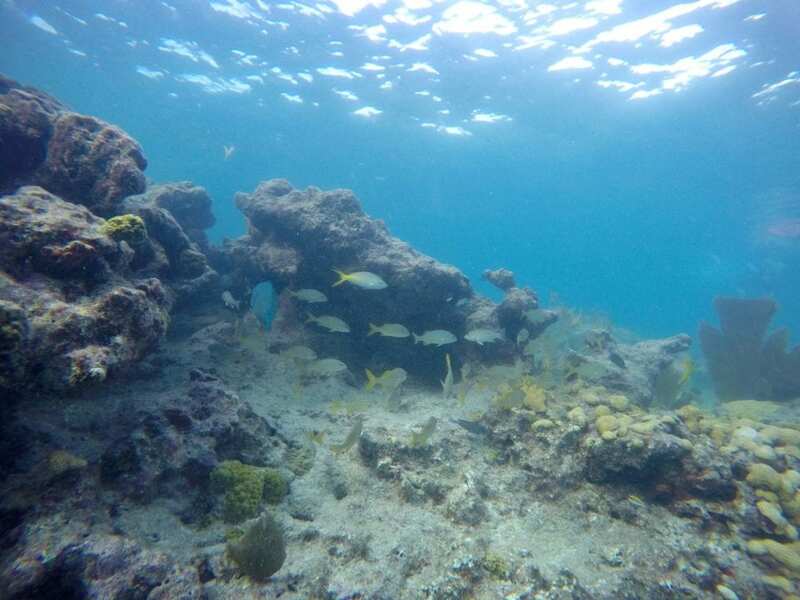 The fore reef slopes down into the deep waters of the Caribbean. 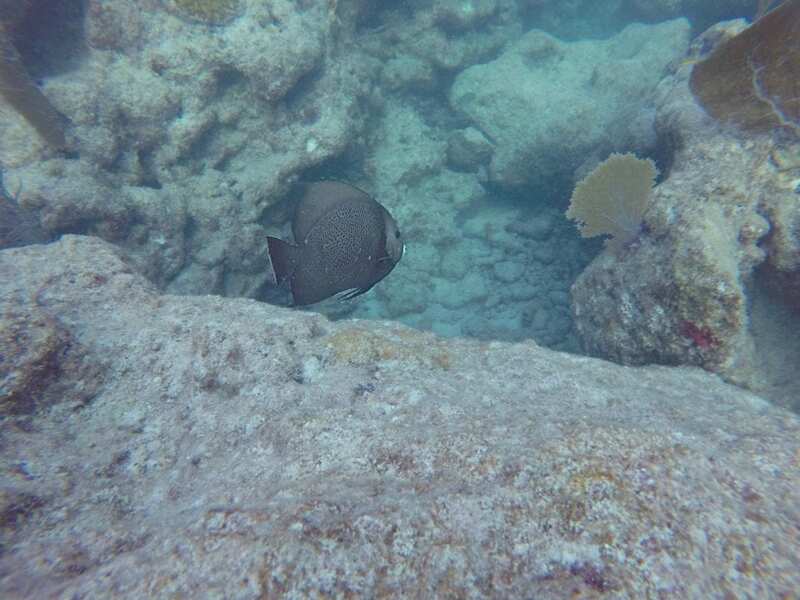 Along these reefs live triggerfish, goatfish, and rock beauties. This region is also the home to staghorn and elkhorn corals that have been walloped by a series of bleaching events and coral diseases. So far, the devastating white band disease hasn’t traveled south to Key West. Scientists are working hard to halt its spread and limit the impact, but they need your help conserving Florida’s coral reefs. 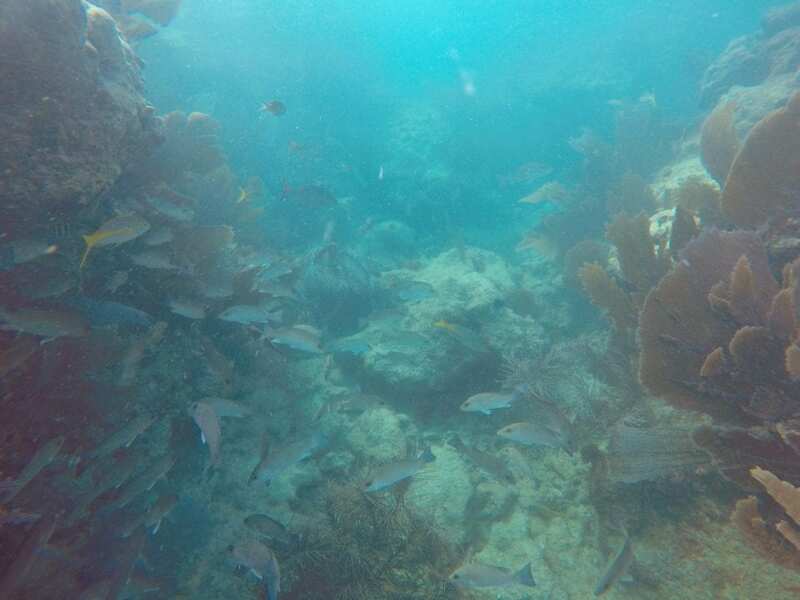 You don’t need a boat to experience snorkeling on Key West. 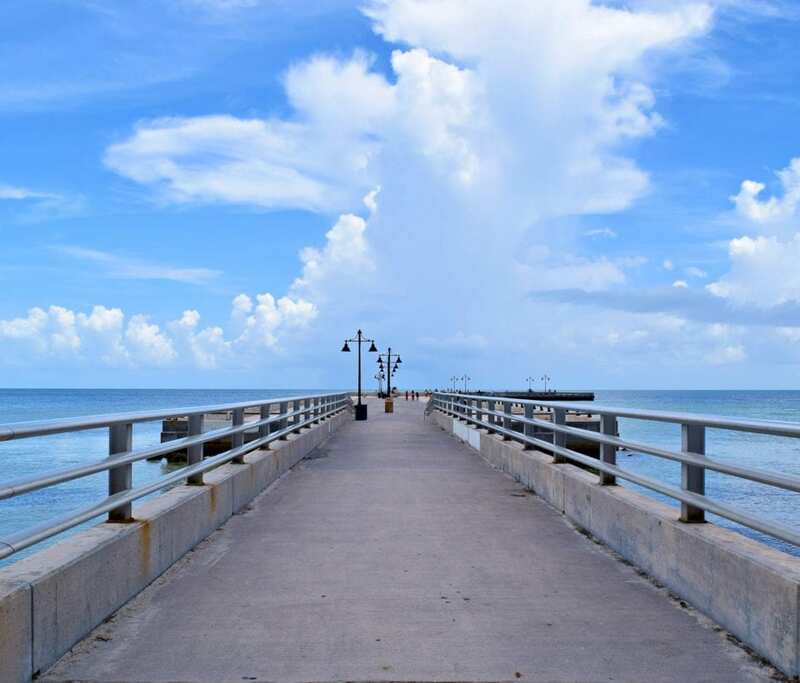 The beaches and jetties near the Southernmost Point offer excellent opportunities to explore. The rock jetties along Edward Knight Pier house colorful fish in shallow, usually tranquil water. The real jewel of snorkeling from shore is Fort Zachary Taylor. Just off the beach in front of the Cayo Hueso Cafe sits a small bay with two little rock islands. This natural shelter attracts all flavors of fish. You do need a dive flag while snorkeling per Florida snorkeling laws. 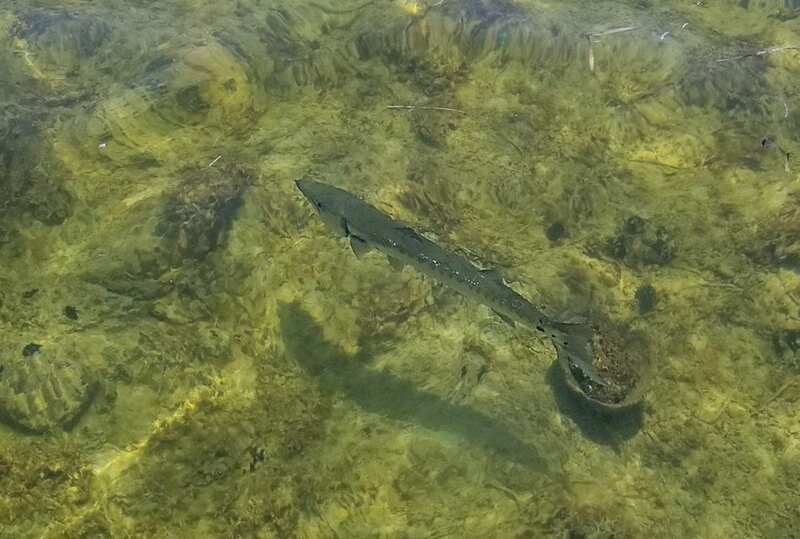 We saw the sheriff warn snorkelers to either display a flag or remove their snorkel at the Edward Knight Pier. Flags are not required if the area is used exclusively for swimming so this rule may not apply to the cove at Fort Zachary Taylor. Use reef safe sunscreen – Key West recently banned non-reef safe sunscreen. An average year in the Keys sees over 10 million person-days of reef-related activities split between fishing, boating, snorkeling, and diving. Everybody needs to do their part to minimize their impact and protect this precious resource for generations to come. Some people go to Key West for romance, other to seek out water sports. 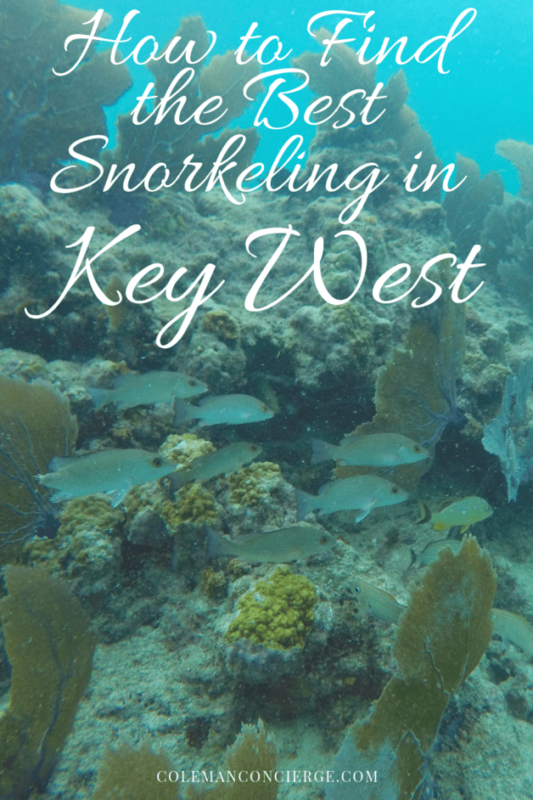 For us, our romantic weekends combine a little of both, which is what we found so beautiful about snorkeling on Key West. Every trip was snorkeling plus. We took a sunset cruise and went snorkeling one day, and the next took a bugeye schooner for a kayak and snorkel adventure. There are so many choices, options, trips, and combinations. You could try something new every day of your vacation and still not run out of tours! 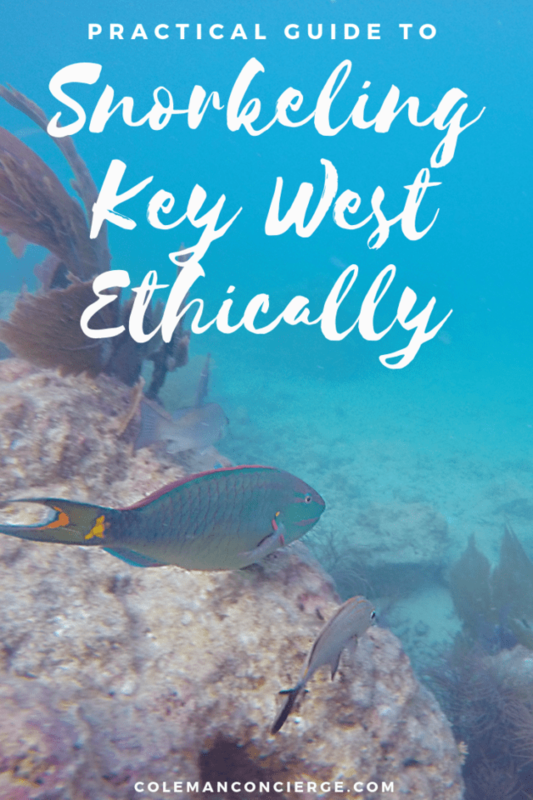 Even if your idea of paradise is a stiff mojito, conch fritter, and slice of key lime pie, you really should try snorkeling in Key West if you’re the least bit curious. Of course, you should snorkel before the mojito, but you just might find a glass of champagne in your hand on the way back to shore.